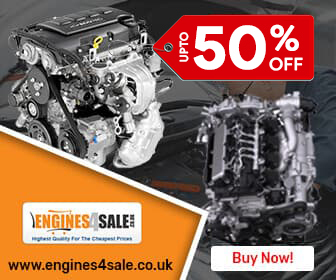 Engines4sale.co.uk is a legitimate, reliable and trusted platform to buy used and reconditioned Alfa Romeo Brera engines at competitive prices in UK. We are providing best quality working and efficient Alfa Romeo Brera 2.4 diesel engine for sale. With the efforts of our trained engine repairing and remanufacturing engineers, we feel proud to deliver top quality diesel engines. We are always available with ready to dispatch 2.4 Alfa Romeo Brera diesel engines at the cheapest prices in UK. We are famous all across the UK because we never compromise on quality. We are confident to express that we work under the best conditions and we have qualified and trained Alfa Romeo Brera 2.4 engine supply and fitting team. Our verified Engine suppliers at Engines for Sale, offers exclusive Alfa Romeo Brera 2.4 diesel engines supply and fitting service to our customers at cheapest rates. Our all supplied Alfa Romeo Brera 2.4 diesel engines are fully tested by the best Alfa Romeo diesel engine engineers to make sure 100% quality. Searching a good quality reconditioned or used Alfa Romeo Brera engine is obviously a tough and time consuming task. At the same time when you try to catch such an engine deal that is not only in the best working condition, but also at the most competitive price, it is as same as jumping out of fire into the frying pan. Here at Engines for sale, we are always ready to deliver 100% working and efficient Alfa Romeo Brera 2.4 diesel engine. We have pool of one of the best [engines size] Alfa Romeo Brera engines remanufactured engine suppliers that are always committed to offer you the cheapest and competitive prices for Alfa Romeo Brera 2.4 engine. We believe that customer’s satisfaction is the main factor to catch the success in every business. 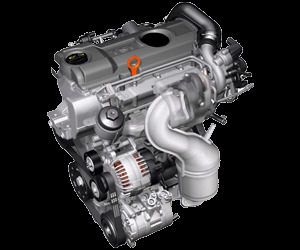 That’s why we always offer such engine buying system that is not only time saving, but also price competitive. Our Alfa Romeo Brera 2.4 reconditioned diesel engine supplier’s work really fast and they are always committed to offer the best remanufactured diesel engine prices. Not only this, buy used or reconditioned engines from us and get huge discount up to 35% on all types of diesel Alfa Romeo 2.4 engines. Engines for Sale’s engine engineering and repairing professional team always ready to provide you the best quality, fully tested Alfa Romeo Brera 2.4 diesel engines at competitive prices. Here we ensure that you will get the best quality replacement Alfa Romeo Brera 2.4 engines at most competitive prices. Not only this, we always offer a standard warranty from 06 to 24 months on every single engine sale. That’s why, our customers are satisfied with our services. The standard warranty period is determined on the condition of rebuild or secondhand engine for sale.